Back from the NRA show. Full report would take more time than I have, so I will start with a few photos. 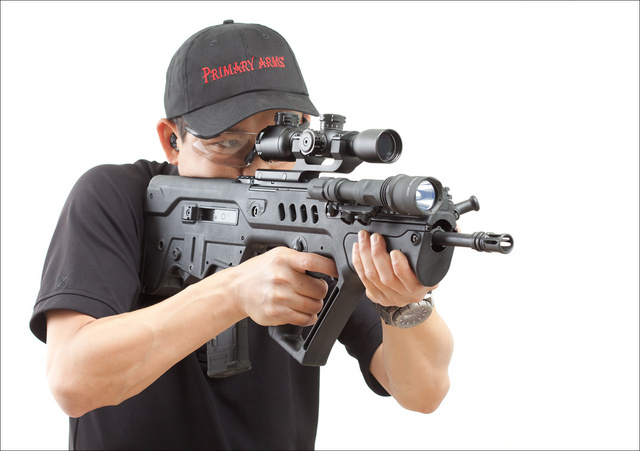 Chris Cheng with IWI Tavor and Primary Arms light and soon to be released red dot. The same rifle with a rather nice 6x BDC scope. This entry was posted in interesting people, rifle and tagged 223, bullpup, optics, red dot, scope, Tavor. Bookmark the permalink. 4 Responses to Back from the NRA show. 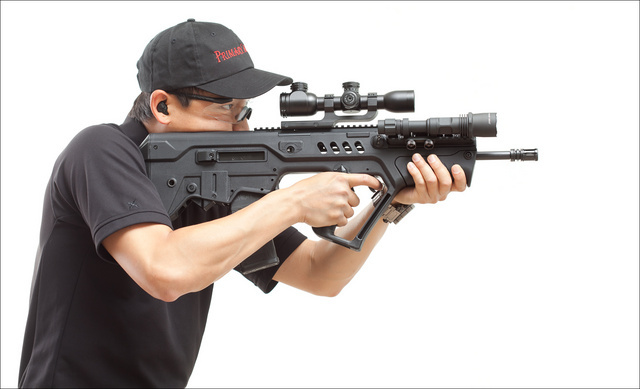 Bullpups are a no-no most of the time it seems, because the issue of us Lefties (Left Handed Shooters) seems to have gone by the wayside and is almost never addressed, but if it is, we are given short shrift of one sentence or less. I thought that some BP’s were interchangeable, ambidextrously speaking, but since I’ve never owned or shot a BP, I can’t say for sure……would you be so kind as to enlighten me Oleg? Lastly, are BP’s only small calibers, or do they also show up in 7.62×51 or larger? Thanks for the great frames Oleg. Hope you’re having a really great Spring…….btw, looks like I might finally get back to D’dorf for Weihnachts……..or so I hope…Tschuss! Keltec RFB is in 308Win and ambidextrous. FN FS2000 is 223 and ambidextrous. 223 Steyr AUG, Mikrotek MSAR and Tavor all come in left-hand variants. 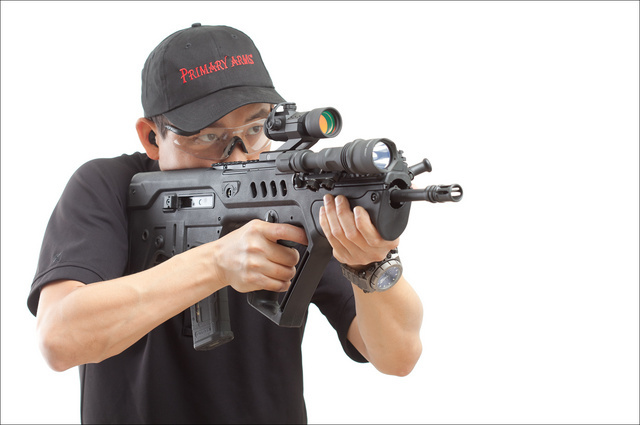 MOST modern bullpups are ambi or are easily changeable for lefties, the Tavor included. As for 7.62, KelTec has the RFB. I am sure there are more out there, but that is the first one that stands out for me. How many of those “high capacity assault clip,shoulder thing that goes up flash suppressor full auto-baby killing,armor cop piercing hollow bullet Glock-47s” were on display at the NRA show? Funny how these “assault rifles” are touted in the media as worse than Hitler,but when the NRA rolls into town and does a show..there’s no reports of mass shootings at one of these events.